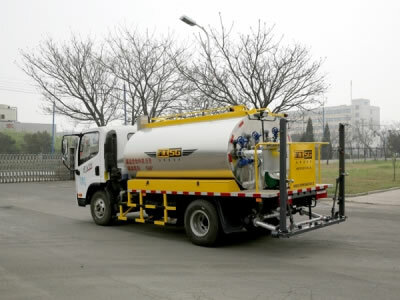 The asphalt chip sealer distributor truck is designed for evenly spraying liquid asphalt, including asphalt with optional fiber materials added. 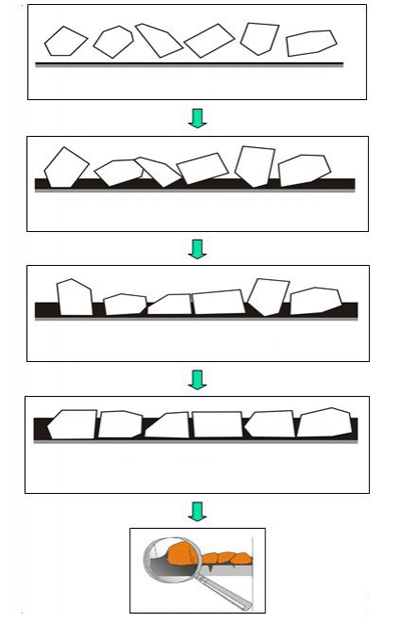 It can also stone chips on the pavement. 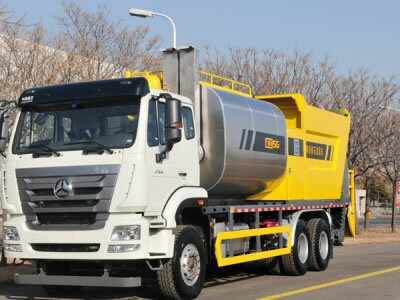 This truck is made up of a chassis, asphalt distribution system, chip distribution system, power system, and mixing system. 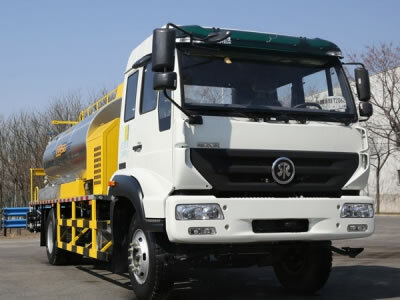 Gaoyuan can provide you with complete truck customization including chassis and trailer. Gaoyuan can match truck cab & chassis from different brands according to your requirements. 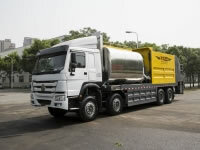 We can assemble the whole truck based on your preferred truck model or you just need to tell us your application details and we will assemble the perfect fit truck cab. 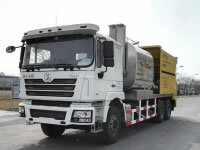 Our working system includes a chip distribution system, asphalt distribution system, pump, control board, and heating system. 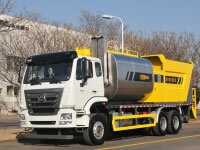 We also provide custom tank sizes and spraying width based on your specific situation. 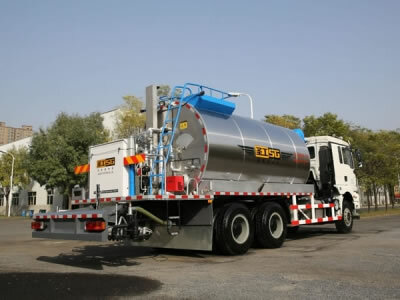 The trailers are custom manufactured according to the size of the working system. 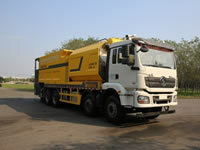 We can also customize the chassis based on different truck cab mounting methods. 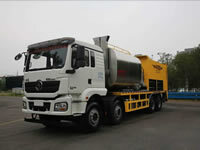 A series of asphalt chip sealer distributor trucks are listed below.